While everyone was waiting for the Oscars to happen, our very own version of Oscars, the Filmfare Awards function took place on the 23 Feb 2008. Akshay Kumar, Kareena Kapoor, Vivek Oberoi and Himesh Reshammiya performed at the functions. The show was hosted by none other than the Badshah and Chotte Nawab of bollywood, Read Shah Rukh Khan and Saif Ali Khan. Their zany sense of humor was as always at its best and the duo was unputdownable that night. Shah Rukh Khan collected his seventh Filmfare award of all time. This time he got it for Best actor in Chak De. He is now only one short of Dilip Kumar's eight Filmfare awards. The best actress award went to Kareena Kapoor for her bubbly character Geet in Jab We Met. Deepika Podukone also was rewarded for her performance in Om Shanti Om. She wan the award for the best debutante. Tabu too won her sixth filmfare award, this time for her role in Cheeni Kum and received the Critics' Award for the Best Actress. The best director award went to Aamir Khan for Taare Zameen Par. Rishi Kapoor was awarded the Lifetime achievement award. Who Was Jodha Bai? The Debate Continues! Even as the magnum opus film "Jodha Akbar" by Ashutosh Gowarikar is set to be released in Cinema theatres all over India, the fiery debate over "Who was Jodha Bai" continues!There is a great divide in the opinions of the Rajput community and the historians as to the true identity of Jodha, if ever she existed!While some say that she was the wife of emperor Akbar, others say that she was the daughter-in-law, which is what is written in most history textbooks that are taught in school here. And yet there are some factions who believe that she was not a princess from Jaipur at all, but the wife of Salim or Jehangir! And again there are some historians who claim that there is no mention of the name "Jodha" in any history books at all! Evidently, the name Jodha only appears in the past 200 years when Col Todd in his annals and antiquities of Rajasthan writes that Jodha was probably married to Akbar. So the mystery deepens as to who was Jodha? However, I strongly feel that all this fuss is just a marketing gimmick to promote the film and make it more interesting to the audience, who will probably go to watch the movie to find answers to all these questions raised! Well, I found a web page that has the complete and fascinating tale of how Jodhpur landed up in the hands of the Mughal emperor Akbar. And also as to "Who Was Jodha bai"! Read it to know all the answers. Bollywood actor Sanjay Dutt has finally come out in the open and married his long time girlfriend, Manyata, in a quiet hindu ceremony witnessed by close family and friends in Mumbai today. If news reports are to be believed, he apparently had married Manyata in a private wedding ceremony in Goa last week where they had a court marriage. Why we never came to hear of this before, or get wind of it, is quite simply because the ever inquisitive paparazzi were kept strictly away. 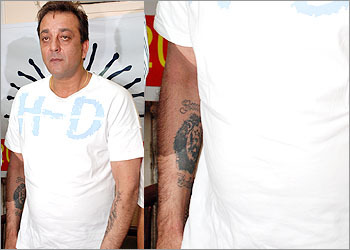 Sanjay Dutt has been feeling a lot better with his new lady love in his life. She was seen constantly by his side during all his troubled times and has been taking care of all his affairs, that included financial matters as well! But, what is surprising in all this is that though people close to Sanjay Dutt were present to witness the marriage ceremony, his sister Priya Dutt, was not present. When questioned by the media, she apparently had no knowledge about his wedding. But, she has said that the couple has her blessings and after all her brother was a grown up man in his fifties and therefore could go about his life as he wished! Well, all said and done, let's hope that this time Sanjay Dutt does find some stability in his life and that this is for real! Hollywood actors, Rock stars and even football celebrities have been known to wear various kinds and types of trendy tattoo designs on their bodies. Some have names of their spouses or beloved while others prefer some kind of art form. Bollywood actors and celebrities are never far behind in following the footsteps or fashion trends of their hollywood counterparts. Here's a look at some of the actors who got themselves tattooed and are flaunting it off! 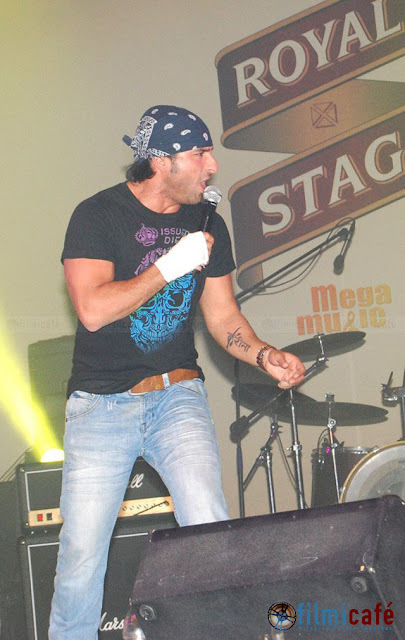 The latest star to join the bandwagon, Saif Ali Khan, has been seen sporting a Tattoo with Kareena's name on his arm. That's how all the rumour's of his supposedly love affair with Kareena started. 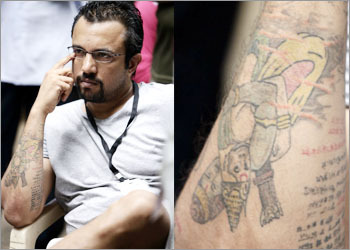 Here's Esha Deol with her Tattoo on her back. She is apparently very religious as the tattoo is a "gayatri mantra". The younger sister of Mallaika Arora has also got a couple of tattoos. This one on her back says "Love Saves The Day". The Other one that she has is supposed to be the name of her boyfriend, Usman Afsal, on her lower back written in Arabic. Well, quite obviously, if her sister has done it then can she be far behind? Mallaika Arora too got herself tattooed on her lower back. She sure knows how to get heads to turn! The Beautiful, Bold and Vivacious anchor Mandira Bedi received an exotic token - a Tibetan Om tattoo - gifted to her by family friend Ronnie on her Birthday. she's Got the Tattoo on her lower waist so that her "belly button acts as the chandra bindu (dot) above it", is how she describes it! This photo of hers appeared on the Maxim Magazine's Cover page and got her into a raging controversy back home where people burned effigies of hers on the streets for her actions! Among other bollywood celebrities, Suniel Shetty, John Abraham, Rakhi Sawant and her boyfriend Abhishek, Salman Khan, Sushmita Sen and many others who are now getting into the groove and trend of Body art with tattoos! 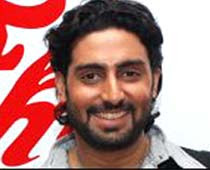 It's Abhishek Bachchan's Birthday today. He will turn 32. Following the tradition of the Bachchan family, all of them will gather in Jaipur where the junior Bachchan is busy shooting for his next film 'Dilli6'. This is his first birthday after his marriage to Aishwarya Rai. Mother Jaya and family friend Amar Singh are also at the Rambagh Palace Hotel in Jaipur for this special occasion. Bachchan has flown to Jaipur from Shimla leaving his shooting there unfinished. He was received at the Sanganer Airport in Jaipur by Jaya and Abhishek. We wish him a Very happy Birthday. See Exclusive Pictures of the Couple Here.. In a recent incident Raj Thackerey was upset with the fact that Amitabh Bachchan had gone to UP to open a girls school in the name of his daughter-in-law, Aishwarya Bachchan. His grouse was that Amitabh has been staying in Mumbai for so many years and that he owes all his success and glory to this city of Mahahrashrta, so why didn't he first open a school here? He feels that the veteran actor is more loyal to his own state UP than the one in which he has lived all his life! Jaya Bachchan, an MP in the Rajya Sabha promptly retorted to this statement by saying that if he was willing to give a piece of his land then they had no problems in putting up a school there too! This probably didn't go down too well with Raj Thakerey, who immediately sent his party activists to bombard Amitabh's residence in the night. There were also other violent incidents in other parts of the city against North Indians, in particular! Now, isn't this taking things a bit too far? "Barabanki, Uttar Pradesh will get its first girls’ school named after none other that former Miss World, Aishwarya Rai Bachchan. She made her first public speech at the stone-laying ceremony. The function was attended by the Bachchan family and politicians Amar Singh and Mulayam Singh Yadav from the Samajwadi Party." ShahRukh Khan has proved that he is unstoppable. After the media had alleged that the actor was spotted at cricket venues for his own publicity, he has hit back in an appropriate manner! He has gone ahead and bought a team that was auctioned recently by the IPL (Indian Premier League), featuring some of the best cricket players in the world. 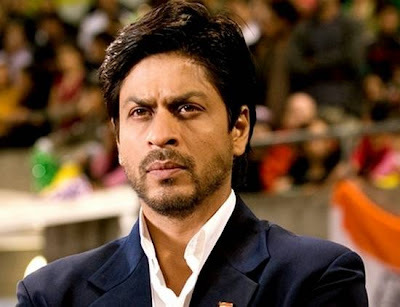 ShahRukh Khan bought the Kolkatta Team and now has great plans for his team. He will now be a part of the cricket world and nobody will be able to question his presence on the cricket field any more! Apart from Shahrukh, Priety Zinta too showed great zeal and enthusiasm towards the game and was seen at the auction alongwith her boyfriend Ness Wadia to bid for the Mohali team. There were also other big names like Mukesh Ambani and Vijay Mallya who also bought the Mumbai team and the Bangalore team respectively. ShahRukh Khan, the winner that he is, is all set to get his team all geared up in every way possible to motivate them to play to win! He is designing special uniforms for them and also a motivational song that will be played as a symbol of that team! He has great plans to expand to Hockey and soccer as well! Shahrukh has truly proved that nobody can beat him, he is truly on the top of Everything! Well, Wish you all the best and hope your team wins and is on the top, just like you! According to a news report, "Bollywood glamour queen Aishwarya Rai and sultry Indian actress Mallika Sherawat have been named in the "Top 99 Most Desirable Women" list of the online AskMen magazine. Aishwarya at no.27 and Mallika at no.66 are joined by Indian American model and food show host Padma Lakshmi at no.66." 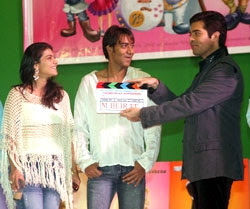 'Toonpur ka Superhero‘ - the name of India's second full-fledged main stream animation film which will have Ajay Devgan and Kajol as the lead pair. The Film will be produced by Kumar Mangat and directed by Kireet Kurana who has already done a couple of animation films in India and abroad and has apparently even won awards for it. ‘Toonpur Ka Superhero‘ is a Bollywood film with around 60-70% live action interwoven into the animation sequences. This type of animated movie with a number of animated characters will be the first of its kind in Bollywood. Well, let's see if these foreign formulas work on the Indian screen! Saif Ali Khan and Kareena Kapoor are indeed seen as a pair in almost all the functions these days. They appear together in the same car and seem like a real couple! Well, I must admit that I had not really believed all those rumors and still am skeptical about this whole affair! Is this only a marketing gimmick to promote their upcoming film "Tashan" or is it for real? Well, they are real good actors and so it is really hard to say! The latest rumor to add more spice to this affair is the fact that they are both seen sporting a ring on their ring finger! Now, what does that mean? Are they truly bethrothed to each other? Only time will tell. I still feel that the moment the movie "Tashan" is released and done with, we will hear of them splitting up and going their own ways. She may end up with Shahid Kapur all over again! Well, let's see what happens! I am ready to eat my hat if the two get married! You can read all about the latest rumors about the pair here. How he nearly slit his wrist for kareena! Another star sibling 'Sunaina Roshan', who is Hrithik Roshan's Sister, has joined the Bollywood wagon. Only difference is that she is not joining to be an actress, rather to be a producer. She will be co-producing a film with her father, Rakesh Roshan. "The film is named Krazzy 4, and is is about four mentally unstable people who escape from the mental hospital in order to explore the world. They are out on a one-day trip. The film goes on to show if these four characters are crazy or is it the world that is actually crazy,” narrates Roshan. She has succeeded in roping both Hrithik and ShahRukh Khan in doing an Item Number in her first film. Well, All the best to her! Salman Khan is the latest addition to the Madam Tussuad's wax Museum. Salman visited the place and loved his statue. However, the muslim fraternity did not love it as much and declared a fatwa against the actor for removing his shirt! Well, at least here there is no "gender" bias! Jokes apart, Salman was a little piqued at the fact that he was singled out by the community when ShahRukh Khan too had his statue placed there earlier. He had also got into trouble with the muslim community for dancing at a hindu festival, and attending a temple to offer prayers! However, still undeterred by all these allegations and "fatwas" our Sallu Bhaiyya still went ahead to unveil his statue in the London Museum. That's the Cool Dude that he is! Aamir Khan has done it again! Another great movie under his belt. Taare Zameen Par is a movie about children (read special) and is a must watch for parents. It was released last month and did well. It was also nominated for an award at the Nokia 14th Annual Star Screen Awards 2008. But as we all know the tendency of Aamir Khan to ignore all such award functions, the organizers did the next best thing, that is erected a full size poster of his near the stage so that his presence would not be missed!Aamir Khan is much in the news, how much ever he tries to evade it. Soon after Taare Zameen Par was over, he is said to have quit smoking and has already started work on his next project, Ghajini. Well, we wish him all the luck.